The Art of Diplomacy is a personal and insightful call to action and a much-needed book about one of the most important bilateral relationships in the world—the relationship between Canada and the U.S.—and why diplomacy matters now more than ever before. 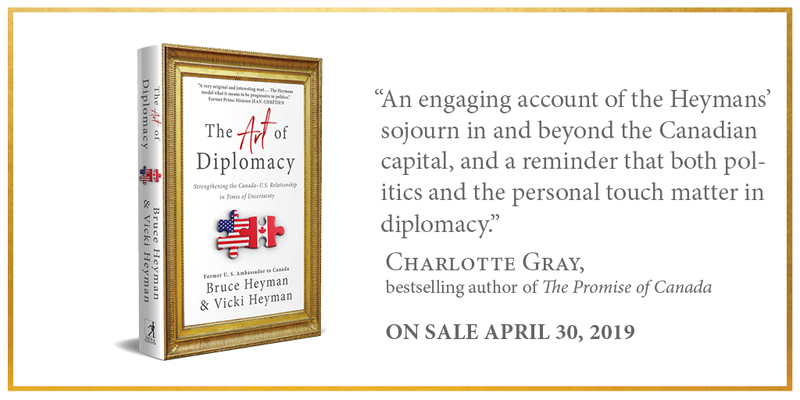 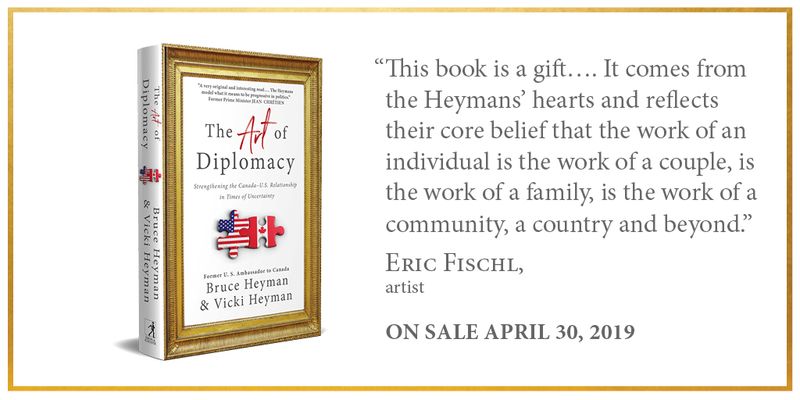 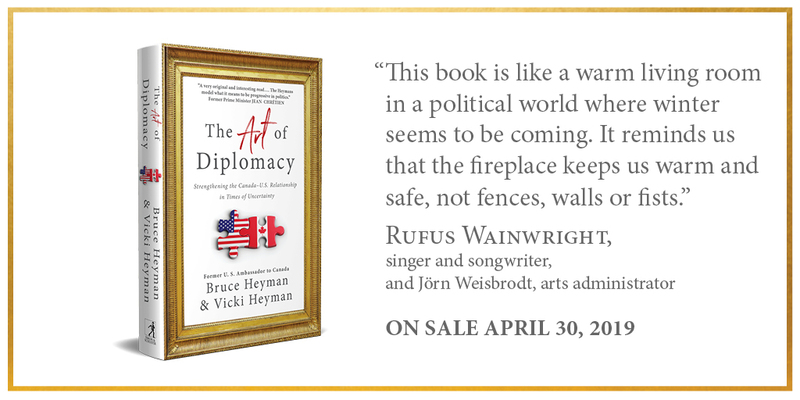 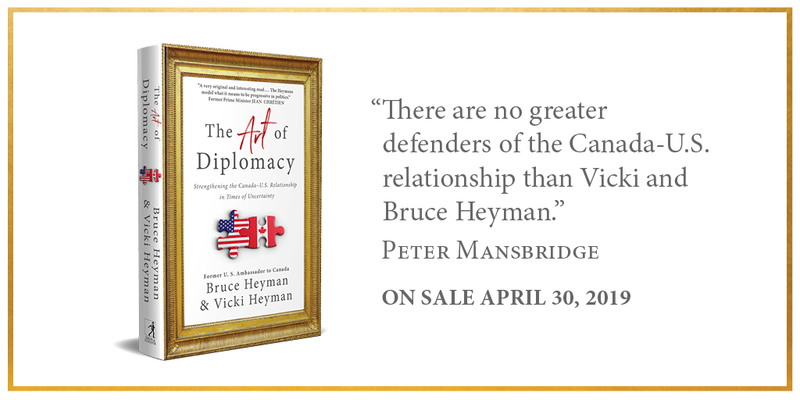 In The Art of Diplomacy, the former U.S. ambassador to Canada, Bruce Heyman, and his partner, Vicki Heyman, spell out why diplomacy and diplomats matter, especially in today’s turbulent times. This dynamic power couple arrived in Canada intent on representing American interests, but they quickly learned that to do so meant representing the shared interests of all citizens—no matter what side of the 49th parallel they happened to live on. Bruce and Vicki narrate their three years in Canada spent journeying across the country and meeting Canadians from all walks of life—including Supreme Court justices, prime ministers, fisherman, farmers, artists, and entrepreneurs. They tell the behind-the-scenes stories of how their team helped bring Obama to Canada and Trudeau to the U.S. They also reveal the importance of creating cultural and artistic exchange between Canada and the U.S., of promoting economic and trade interests, and overall, of making a lasting positive impact on one of the most important relationships in the free world today.